On Friday, December 26th, National Public Radio aired two superbly done pieces of anti-Russia propaganda, which could as well have been written by the U.S. CIA, or by Voice of America, it was so skillfully deceiving. One of these propaganda-pieces, on “Morning Edition,” presented Eleanor Beardsley alleging that the anti-immigrant political parties in Britain and France are anti-U.S. and pro-Russian because they are supposedly all “far right”; and the other piece, on “All Things Considered,” presented Corey Flintoff alleging that Russia’s President Vladimir Putin “seized Crimea” (as if he hadn’t actually rescued it) and thereby caused U.S. President Barack Obama and the EU to respond with economic sanctions as punishment for the ‘seizure’ (actually, as we’ll show, rescue). What she was trying to get across is more like the opposite of the truth than the truth, because what Putin and Europe’s anti-immigrant parties actually share is not extreme conservatism (which they don’t share at all; Putin isn’t that) but is instead more like the very opposite of that: they share a rejection of U.S. global supremacy or “hegemony”: they reject the U.S. as having a right to control their country’s policies and destinies – in other words: they reject U.S. imperialism, and this is a rejection that all of them share also with progressives in America, hardly with America’s champions of imperialism, such as are, for example, in the U.S., Bill Kristol’s and Robert Kagan’s Project for a New American Century, which was the actually far-right, Rupert-Murdoch-funded, movement that George W. Bush adhered to, that beat the drums incessantly for his “regime change in Iraq,” and for invading Iraq to overthrow Saddam Hussein. Obama was saying there that any nation, such as Russia, which challenges the right of the U.S. Government to determine the appropriate parameters for all other nations’ policies, must be crushed, because the U.S. is superior. By contrast, anti-imperialists argue that no nation possesses any such right of being “world policeman” – the international judge, jury, and executioner – as Obama claims for America. None: not the U.S., not Russia, none at all. This is an extremely different reality from the lie, the PR hoax, that Eleanor Beardsley was selling to listeners on NPR. 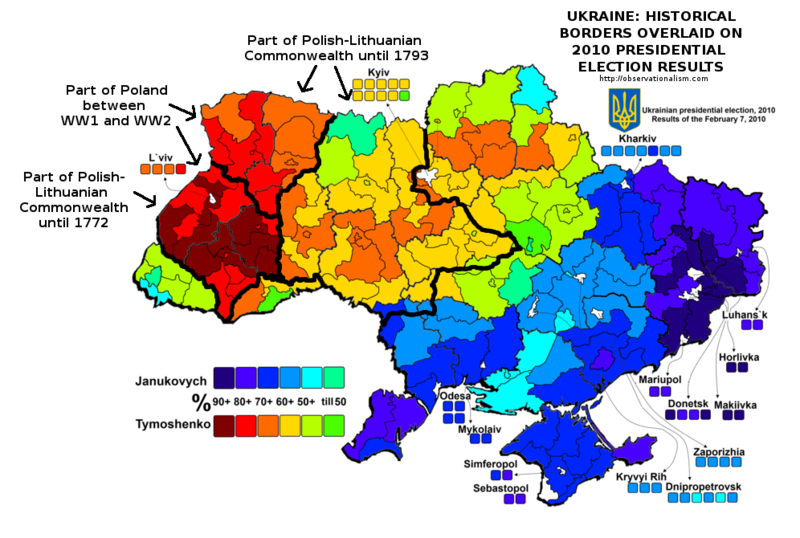 (2) Gallup polled 500 Crimeans during May 16-30 in 2013, and found that only 15% considered themselves “Ukrainian.” 24% considered themselves “Crimean.” But 40% considered themselves “Russian.” Even before Obama’s February 2014 coup which overthrew the Ukrainian President whom 80% of Crimeans had voted for, the Crimean people overwhelmingly wanted to secede from Ukraine – and, especially now they did, right after the President for whom they had overwhelmingly voted, Viktor Yanukovych, had been overthrown in this extremely bloody coup. Furthermore, in April 2014, Gallup again polled Crimea, and they found that 71.3% of Crimeans viewed as “Mostly positive” the role of Russia there, and 4.0% viewed it as “Mostly negative”; by contrast, only 2.8% viewed the role of the United States there as “Mostly positive,” and a whopping 76.2% viewed it as “Mostly negative.” During the intervening year, Crimeans’ favorability toward America had plunged down to 2.8%, from its year-earlier 6%. Clearly, what Obama had done in Ukraine (his violent coup in Kiev) had antagonized the Crimeans. And, as if that weren’t enough, the 2014 poll provided yet more evidence: “The 500 people that were sampled in Crimea were asked [and this is crucial] ‘Please tell me if you agree or disagree: The results of the referendum on Crimea’s status [whether to rejoin Russia] reflect the views of most people here.’ 82.8% said ‘Agree.’ 6.7% said ‘Disagree.’” In the hearts of the local residents, Crimea was still Russian territory, after an involuntary hiatus of 60 years; and so the Russian Government accepted them back again, into Russia – this was not as Corey Flintoff droned, “Russia’s seizure of Crimea.” It was Russia’s protection of them from the invasion of Ukraine by the United States in a bloody coup. (3) Ever since 1783, Russia’s core national security asset, its Black Sea Fleet, was stationed in Crimea, but Obama’s Ukrainian coup-Government wanted to kick them out (and this is one of the reasons why Obama perpetrated his coup). The aggression here was entirely on the American side. Russia wasn’t responding only in order to protect Crimeans; Russia was especially responding in order to protect its core naval base. The Obama regime overthrew Ukraine’s democratically elected leader in February 2014 in a brazen act of military aggression against Russia; and National Public Radio (like so many ‘news’ media) is trying to fool the American public into thinking what the Administration wants them to think: that the aggression is instead by Russia, and is against the rest of the world, so that the already bloated U.S. military should get involved in yet another war, this one that’s now building, against Russia. In closing, the key fact should be mentioned that it is Obama and not Putin who is following in the footsteps of Adolf Hitler. The extreme-conservative, at least in foreign policy, is Obama, not Putin. So, Eleanor Beardsley’s falsehood was just about as egregious as can possibly be imagined.